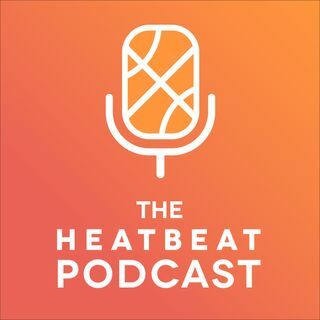 Welcome to The Heat Beat Podcast, a weekly NBA podcast hosted by Giancarlo Navas and Brian Goins bringing you the latest dose of Miami Heat news, insight, and commentary. In this edition of The Heat Beat Podcast, we got voices from all over Heat Twitter to sit around for more than an hour to recap the end of the Miami Heat's season. Joining us today are: Giancarlo Navas, Alf, Leif Sylvander, Harrison Cytryn, Nekias Duncan of Today's Fastbreak, Jack Alfonso, Christian ... See More Hernandez, Alex Toledo and Brian Goins. Enjoy the madness, Part II. Contributors: Leif Sylvander (@Lefty_Leif), Christian Hernandez (@cch1125), The Greater Alf (Heat Twitter President) (@Alf954), Harrison Cytryn (@hlcytryn), Jack Alfonso (@alfonsohoops), James Profetto (@jamesprofetto), Jorge Corrales (@jorgecorrales), Alex Toledo (@tropicalblanket), and Veronika Quispe(@veronika_quispe).